Zips have just two jobs: zip and unzip. That’s it. 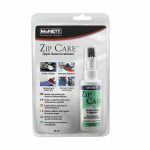 Make sure the zips in your high-tech equipment are doing their job with Zip Tech™ by McNett. This high performance lubricant works on waterproof zips in wet suits, dry suits and more. Plus, Zip Tech protects against salt, chlorine, rust and corrosion, and it repels dirt, sand and organic residues—so zips last a lot longer. 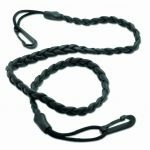 When you’re faced with a stuck zip, count on Zip Tech’s easy to use, non-wax formula to unstick it fast. For best results preclean with Zip Care. Thoroughly clean zip, removing all sand, dirt and other debris. Open zip and apply Zip Tech sparingly only to the outer teeth of zip. 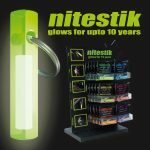 To thoroughly distribute lubricant, close and open zip carefully. Repeat process until zip moves freely. Wipe away excess. To prolong zip life, reapply Zip Tech periodically and prior to prolonged storage periods. Keep freshly treated zips away from direct contact with sand and dirt. 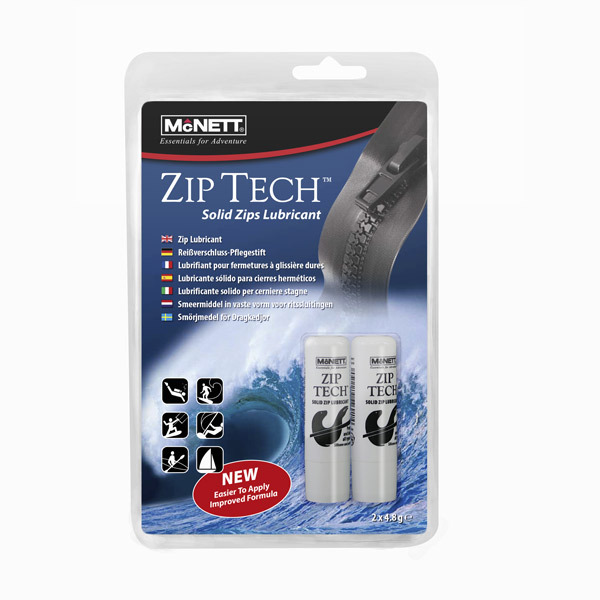 Zip Tech™ is part of the McNett M ESSENTIALS™ product range. Zip Tech™ is preferred for multi-dive lubrication. 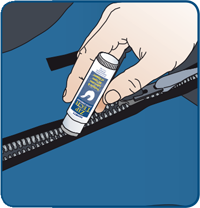 Use Zip Tech to lubricate and protect watertight and airtight zips on dry suits from corrosion and harmful salt, chlorine and other pollutants. Regular cleaning and lubrication helps zips last the lifetime of the suit. Without proper care (left), expensive zips degrade and need costly replacement. Keep your wet suit, dry suit, gear bag zips free of harmful dirt, sand and salt deposits with ZipTech (right). STEP 1: Unzip item and remove grit and dust. 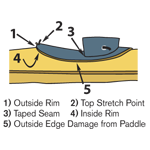 STEP 2: Apply Zip Tech™ sparingly to the inside and outside of the zip teeth. 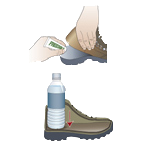 STEP 3: Carefully open and close zip to distribute Zip Tech thoroughly. Broken zip tooth on a dive equipment bag? Kayak cockpits are notorious for cutting into spray skirts and causing exterior cracking. Apply spot applications of Aquasure to permanently repair and protect both the interior and exterior.